UPDATE: Mona has been released. She’s in good health and says she was beaten and sexually harassed by Egyptian police. Egyptian-American writer and activist Mona El Tahawy was arrested in Cairo last night. Mona is contagiously passionate about the revolution in Egypt and democracy in the Arab world and she’s been doing a great job explaining the Arab awakening on major western media outlets. Mona has of course her supporters and detractors. Her opinions do not always obtain unanimity. Mona leaves no one indifferent. One thing is for sure though: her passion for freedom and democracy in the Arab world are undeniable. Therefore we should call for the immediate release of Mona El Tahawy. 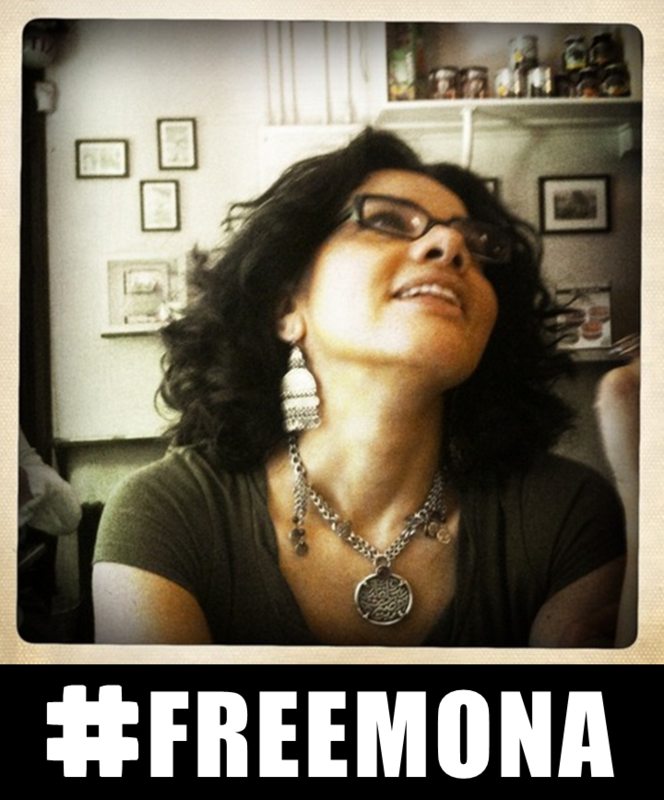 Use the hashtag #FreeMona on Twitter. Spread the picture above in your social networks. Let us not forget also to actively call for the release of all political prisoners in Egypt, notably my friend and activist Alaa Abd El Fattah and many others who are behind bars, for nothing else but their opinions.